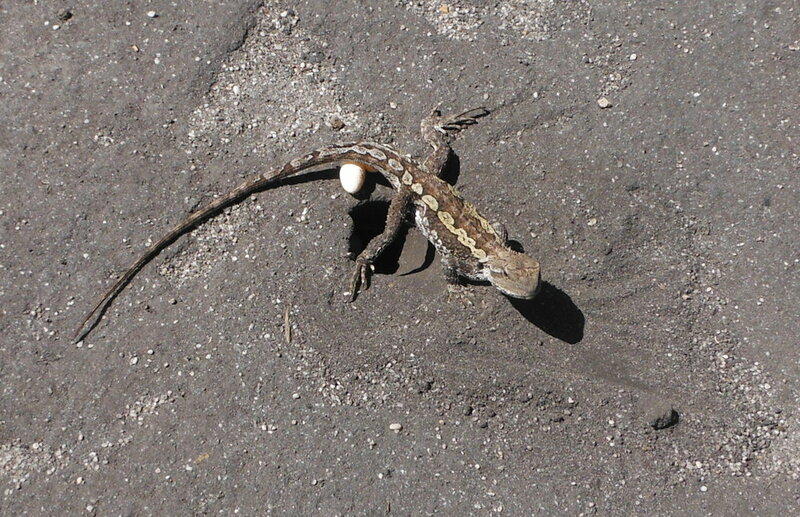 While walking back from the beach we almost stepped on a Jacky lizard laying and depositing eggs into a hole in the middle of the path.We watched it pushing the egg into the hole, packing them down with forceful headbutts and then scraping some of the very hard packed dirt into the hole to cover the 6 or 7 eggs inside.The lizard put her head right into the hole,scraped more dirt into it and then stayed near the hole until we left. Apparently the eggs can take anything from 40-100 days to hatch depending upon the temperature of the ground . Jacky lizards/dragons shelter beneath fallen branches,hollow logs and frequently climb low shrubs or posts to feed or bask in the sun.